I didn’t bring the right footwear, and I didn’t wear enough pairs of gloves, but I love the photos! 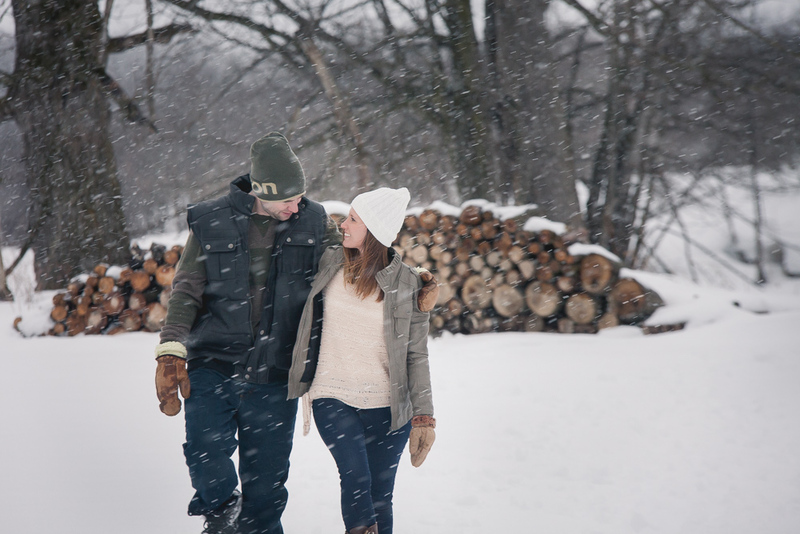 Caitlyn and Sean’s winter engagement on the site of their August wedding was beautiful… for about 20 minutes. Right up until the snow turned into hail and I could no longer open my eyes without being poked in the eye by little white bullets, the scenery was spectacular. Big fluffy snow flakes fell all around them as they snuggled under the willow tree that will frame their I Do’s. Until August, Caitlyn and Sean… Keep warm!